As aforementioned, Semana Santa, or Holy Week is a very important religious holiday for Spain. Therefore, most everyone is given the week off from work, include us students! During this week, many of us take advantage of being in Europe and travel. First stop: Dublin, Ireland. I had to pleasure of visiting a good friend who is studying abroad there! Natalie Reid has been a friend since middle school. Growing up in the tiny corn fields of Cedarville, Ohio, neither of us would have predicted that we would get to hang out across the globe in Ireland. In fact, few people even leave the town, much less the country! We can say with pride that we are exceptions. Though I arrived two days after Saint Patrick’s Day, the city was still decorated with flags, green lights, and posters on every corner. Dublin is a really beautiful city. The roads are winding, the buildings aren’t too tall and imposing, and each building face has a unique character. Natalie gave me a tour of the city, taking me to popular sights like Grafton Street and Trinity College. What a change to speak in English! When I accidentally used a Spanish word, I suddenly found that the rest of my sentence would follow Spanish. It was a serious effort to speak solely in English. I have so much respect for multi-linguists, especially those who move from a country with one language to another with a different language. After wandering the city, we took the double-decker bus (Ireland’s principle form of transportation) back to her homestay in a quaint Irish town. The walls were white with flowers and hedges. Spain is lovely, don’t get me wrong, but oh how I missed natural greenery! 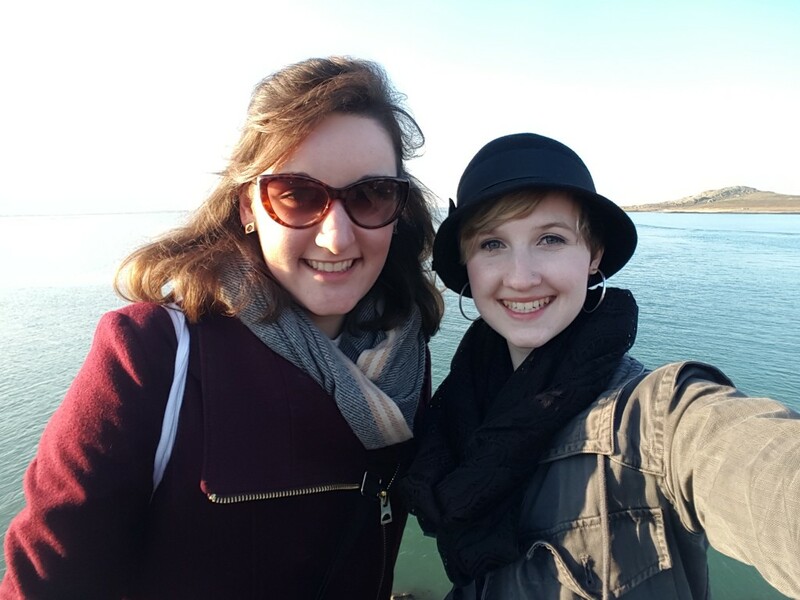 The next day we visited a beautiful little fishing village named Howth. Normally the village is calm and relatively void of crowds, however, surprise! Howth was hosting its Prawn Festival! There were huge crowds, music, fair rides, and of course, lots of prawns. We went to a typical Irish pub where I sampled said prawns; they were great. I found myself missing the taste of Spain though, so I had them with chorizo and penne pasta. It was delicious. We took a stroll by the water’s edge and lo and behold there were sea lions! They were the cutest ugliest things. Just beyond the ocean path there is an old Irish castle. I got the full Irish experience seeing this lovely stone time capsule. The whole day trip felt like a dream, with castles, rivers of daffodils, cascading sunlight from a fresh blue sky, and an old friend. 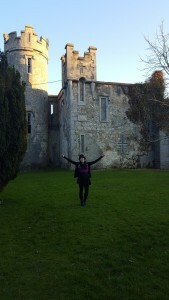 Ireland was a much-needed escape. 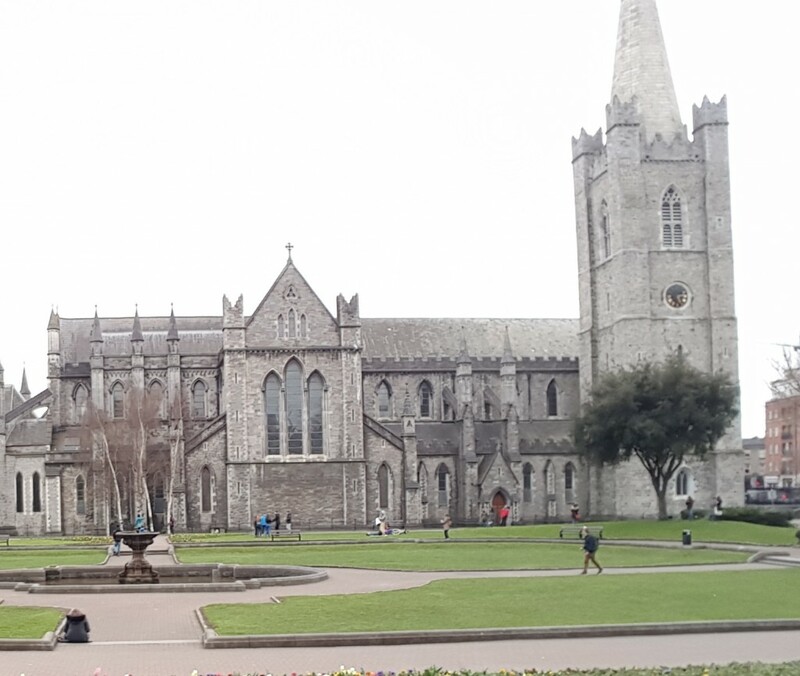 I spent my last full day in Ireland visiting Natalie’s school, shopping around, meandering through a park with elegant swans, and attending an Evensong at St. Patrick’s Cathedral! The music sent shivers down my spine. The men’s voices floated through the gorgeous space and their notes hung like clouds many seconds after they had been sung. I walked away inspired and, frankly, with a renewed love for God. For the rest of my Semana Santa vacation I visited a good friend and former co-worker of my father, Dr. Andrew Wiseman in Valencia. Dr. Wiseman is the director of Cedarville University’s Spanish study abroad program. He is truly one of the most amicable human beings one may ever meet. He set me up with a Spanish host mother and welcomed me like one of his own students. Valencia was hot! So naturally I loved it. It averaged 80 degrees each day, with a sunny and blue Simpsons sky (you know, perfect shade of blue with puffy white clouds). I mainly wandered the city, visiting popular attractions such as the City of Arts and Sciences─a futuristic collection of buildings with amazing architecture─as well as El Río, a miles-long riverbed now full of parks, flowers, fountains, and bike trails. 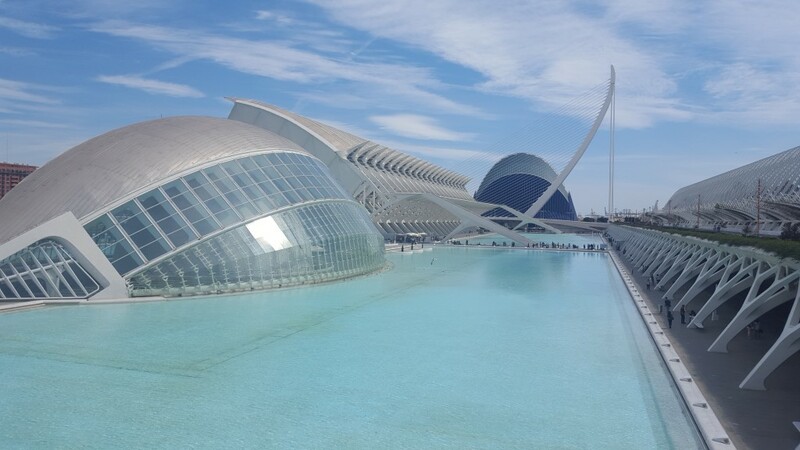 Though I did not do much in Valencia, it was the perfect opportunity to rest. Not to mention I am returning with my choir in a few weeks so I do not feel as though the time was ill spent. Micro-Bio: While in Valencia I met one of Dr. Wiseman’s students, Jackie. 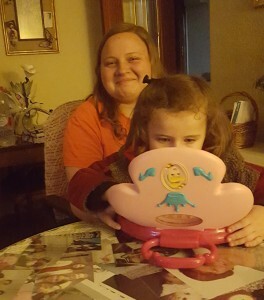 (Here she is with Luna, her host mom’s granddaughter.) Jackie graciously showed me around the city and helped me with any questions (particularly about navigation) that I had. Jackie is studying Spanish and hopes to be a teacher in another country, yet to be determined. Though she is originally from the states, her heart belongs to Honduras where she has lived for the past few years with her family. She shared some interesting differences between Spain Spanish and Honduran Spanish with me. For example, in Spain vale is a common expression to say “okay” or “valid”; in Honduras, vale is extremely formal and therefore not common. Instead, she says cheque. Not only has language influenced Jackie, but also the Honduran lifestyle has made its way into her attitude. She is a very relaxed individual, taking life as it comes. I would say that Jackie embodies the no pasa nada (no worries, or hakuna matata) phrase perfectly.